This was a project about exploring the quality of empathy. 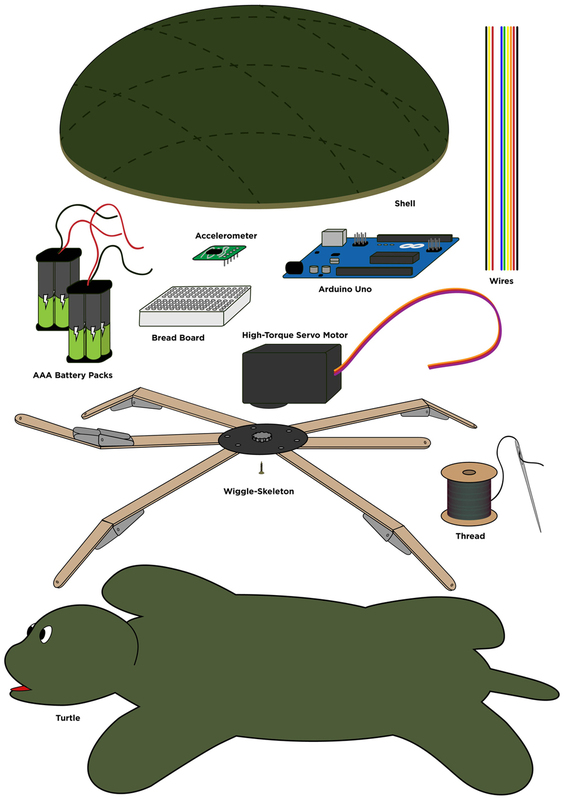 Its basic elements are an Arduino Uno, a servo motor, and an accelerometer (which measures rotation) inside of a stuffed animal. Flipping the turtle on its back triggers a series of uncomfortable wiggles that increase in intensity over a period of a few minutes. If held upright, say in a hug, the turtle changes to slow, gentle squeezing movements. I wasn't interested in a quantitative question of whether people can empathize with a seemingly distressed but definitely not alive toy - á la the work of Sherry Turkle - since the answer is obviously that we can and do. But rather, what does the empathetic moment look like? What does it feel like? Can empathy be practiced? Is an empathy machine possible, or even meaningful?